Special discount offer at the end of this post. For those of us who love being active outdoors, summers in the Central Valley mean adapting and taking a few precautions when pursuing our passions outside. 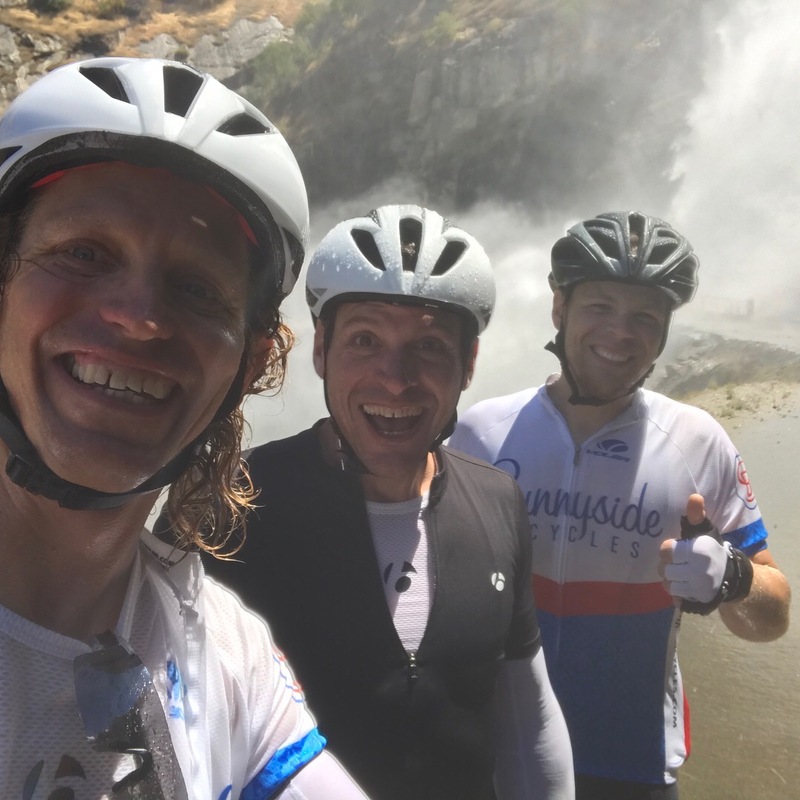 All of us at Sunnyside Bicycles ride year-round, so I asked the staff for their favorite hot-weather riding tips to share with you all. John: It’s important to acclimate yourself by going for shorter, slower rides and building up your heat endurance. Don’t stop riding and miss out on the whole summer. Start with 15 minutes with very little effort and then increase your time and effort gradually. Also, when out on the rides, soak your sun sleeves in ice cold water and splash the back of your neck with cold water. Jacob: Obviously, increase your water intake before your ride and be better at drinking during the ride than normal. Also, I am a big believer in recovery drinks. I drink my Ultragen Recovery drink immediately after I finish riding, before I do anything else. Adam: Leave early in the morning. Keep track of how much water you normally drink on hot days and plan your distance accordingly. When planning your ride and distance, also plan your water stops (e.g., liquor stores, known water sources). Monitor your heart rate (heart rate goes up when dehydrated) and stay covered with sun sleeves to keep temps down. Slushies work great to lower internal body temp. A splash of water feels good when you’re overheating, but don’t be afraid to pull over and stop in some shade to get your temperature down. Just like a car overheating, your body will shut down to protect itself from damage. Jeremiah: I recently started wearing a base layer and sun sleeves and won’t ride without them now. What a difference they make! Also, on extra hot days, I go ride in higher elevations to escape the heat. Nehemias: Staying hydrated. 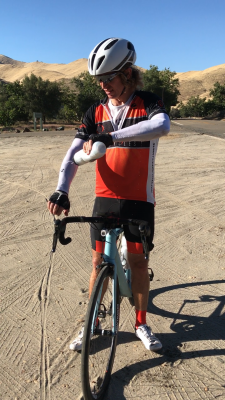 Start hydrating a couple days before a big ride. A little extra salt on meals a couple days before helps me. My advice when on the bike is to have a bottle of water and a bottle with electrolytes (Heed/nuun). Also, having a few Pickle Juice Shots handy can work wonders when the cramps actually hit. Chris: Freeze your energy gels and eat them like a popsicle! Also, day trips to ride on the coast are awesome. Gwen: If I know a hot ride is in the works, I hydrate days before, more than usual, because I sweat more than the average person. Because conditions can get worse and unpredictable, on a longer than usual ride, I bring a buddy, just in case. Start easy, finish easy. I give ‘me’ body about 4-7 minutes to ease in and out of a hot ride. Aside from keeping two large insulated water bottles with me, I’ll soak my gloves with a little bit of my ice cold water, and it helps keep feeling cool and fresh. I wear a cycling cap under my helmet. It soaks ‘me’ sweaty head and makes me feel like a pirate…Arrrrrrrrrrrr! I also cuss a lot at the hot sun. Vanessa: For me, not riding is just not an option. I love riding my bike too much to hang it up for the summer, so I just ride. Once I start pedaling, it feels way better than it did when I was standing there thinking about pedaling. I lead two late afternoon rides a week all last summer, and we always felt better once we started pedaling! I listen very carefully to my body and back off when I need to and always remember sunscreen to avoid dehydrating myself with a sunburn. Also, I sweat a ton (a TON) and SaltStick capsules save me every time. Bottom line? You don’t have to wait until fall to start riding again. 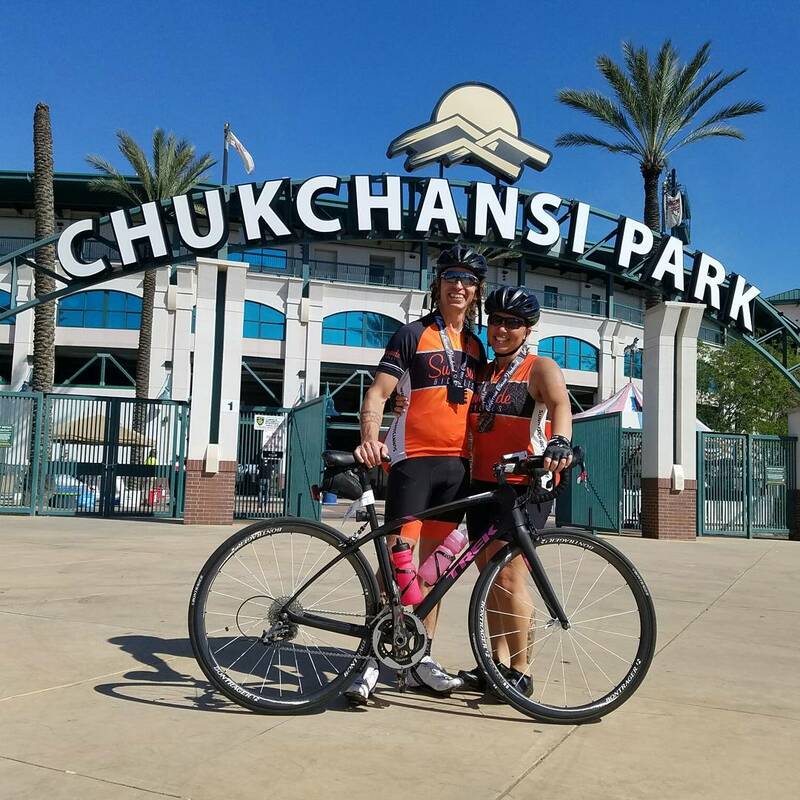 Start slowly, ease into it, hydrate, plan your ride intelligently, listen to your body, and enjoy the Central Valley summer! Mention this Kings River Life article for $5 off any $20 purchase! Valid through August 15, 2017.